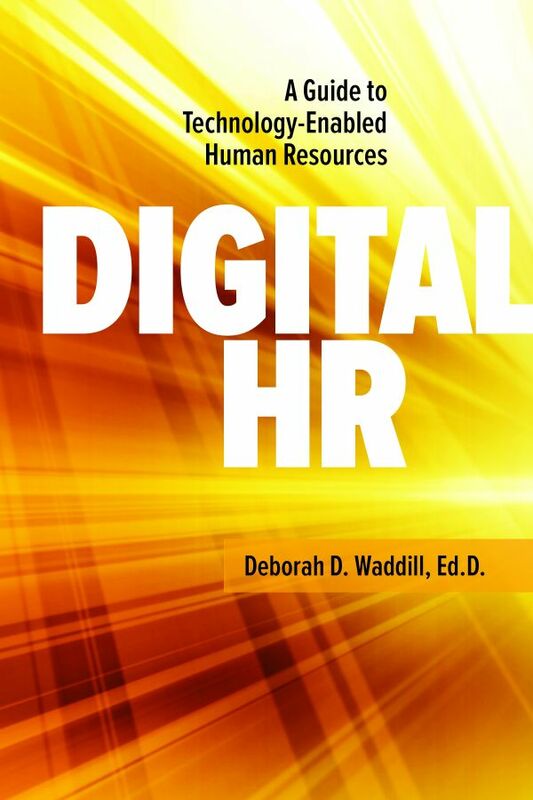 Read more about Digital HR in HR Magazine's Book Blog. It’s an exciting time to be in HR as scores of technologies, such as Watson, AI, predictive modeling, real-time data analytics, HR shared service centers, and others are being implemented at a rapid pace by HR leaders around the world every day. Digital HR expertly addresses the revolutionary trends and disruptive technologies to provide HR executives, managers, specialists, generalists, and students with a comprehensive and evidence-based guide to current technologies that enhance, enable, revitalize, and empower Human Resources. With practical insight, real-world case studies, tips and tools, recommendations, and additional resources, Waddill guides readers through each of the major technologies and addresses vital strategic and implementation issues. Deborah D. Waddill, Ed.D. is an HR leadership and technology expert with extensive consulting and business experience with government, academic, nonprofit, and for-profit clients. Dr. Waddill also teaches for Rutgers University’s Executive Certificate: Next Generation HR program and she is Director of Leadership Courses for George Washington University's School of Medicine and Health Sciences.